Anyone who has stayed at Bugibba and walked its promenade cannot have failed to notice the two small islets jutting out of the promontory across the bay. The promontory is the green area known as Selmun and the islets are St. Paul’s Islands – the reputed place where the Rome-bound ship carrying the Apostle came to grief sometime around 60 A.D.
Just a short mile away from Bugibba, the Selmun area couldn’t be a more different place from the densely developed resort. Selmun is reached via a side road just before one enters Mellieha. A small community lives here along the first part of the road but otherwise this area is mostly an open, rural and very scenic one. The Palace of Selmun is no doubt the area’s most photogenic structure – although tower-like in appearance this was in fact a recreational summer dwelling of the Knights’ period built in 1738. Near the palace are a clutch of recently restored farmhouses which will shortly serve as a visitor centre for this interesting area. Selmun’s real attractions are its wealth of country paths and the beautiful vistas offered from this piece of high ground. 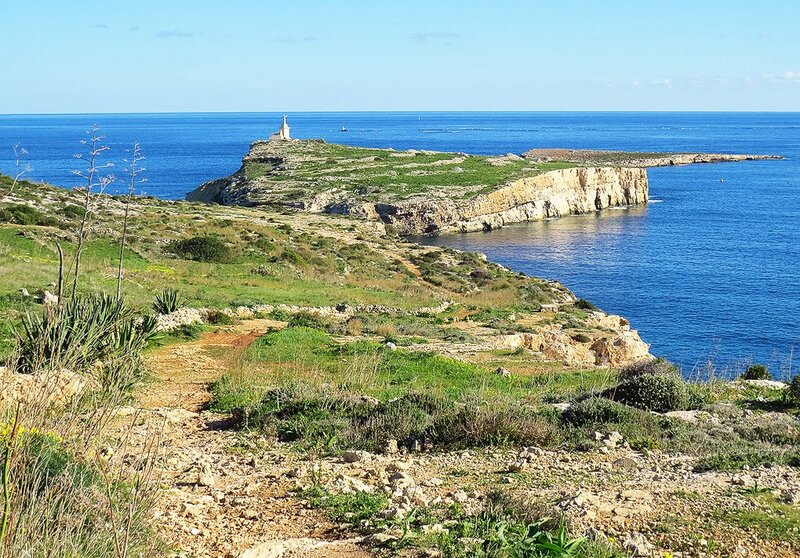 Just south of the palace a steep path goes all the way to the bay of Mistra – a quiet haven in the winter months and for most of the rest of the year as well. 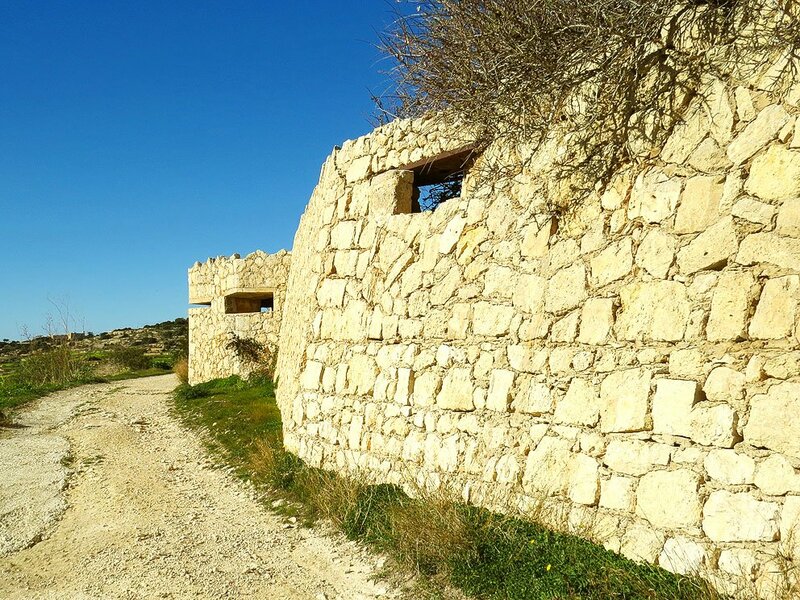 From the bay one can wander to the nearby Mistra Battery – another Knights’ structure recently restored by Fondazzjoni Wirt Artna – the Malta Heritage Trust. Beyond the battery the islets of Saint Paul are the coast’s dominant feature. The islets have been uninhabited for the last hundred years since the last farming family found the going on the miniscule patch too difficult for survival and abandoned the place. A path goes uphill from near the islets and goes past a long and curious looking rural wall. This is in fact the remains of Fort Campbell – the last major fortification built by the British in the years leading to World War II. The rural appearance had a purpose – any enemy aerial surveillance would probably mistake the low-slung fort for an innocuous farmstead. From the fort the path evolves into a paved road leading back to the palace. There are other tracks from here. One leads to the first of the De Redin towers to be built around Malta – the Ghajn Hadid Tower. This tower is now in ruins following an earthquake in 1856 but the views over the area’s single sandy beach – Mgiebah Bay – are worth the effort. 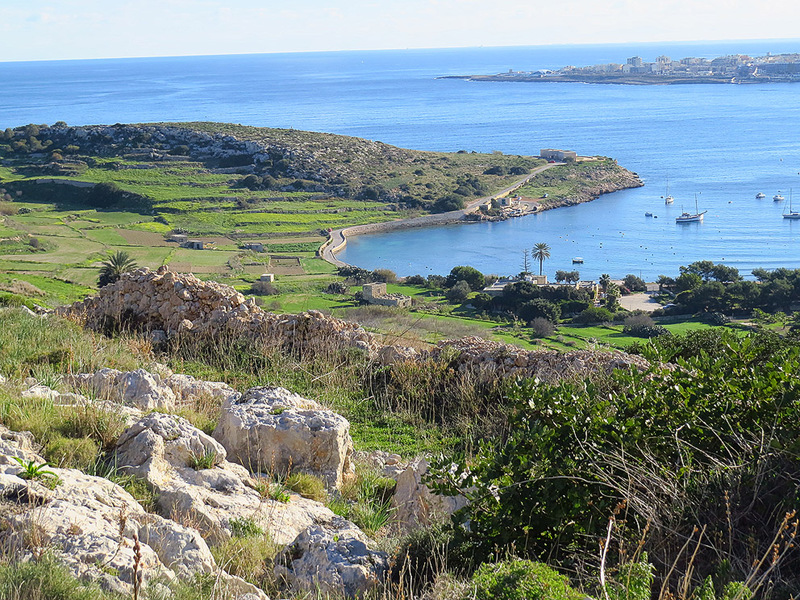 A trek does go down to the beach – one of Malta’s prettiest and most secluded. The bay can also be reached by a paved road which starts from near the community’s chapel just down the road from the palace. The Selmun area remains fairly free of commercial inroads. There is only one hotel situated next to the palace – and even that is closed for the moment. For any sort of refreshment one has to resort to the hamlet’s only snack bar – assuming it is open. Failing that, nearby Mellieha has a wealth of eateries to suit all comers. 1 Pings/Trackbacks for "Quiet Haven – Selmun"